It's the weekend. Yay! I hope you are having fun... maybe doing a bit of card making?? I'm here today with a pastel card made using Hero Arts gorgeous Le Journal stamp, the new The Patterns - Script digikit, and lots of yummy Ribbon Girl ribbon and twine. I used their gorgeous Ivory Pleated Satin Ribbon (LOVE this ribbon) layered over Ivory Silk Ribbon. Now, onto the winner of my digi card challenge, sponsored by Hero Arts. Congratulations Leni. Email me, and I'll get your digikit to you. And thank you all for playing along. Back next week, have a WONDERFUL weekend, whatever you are doing. 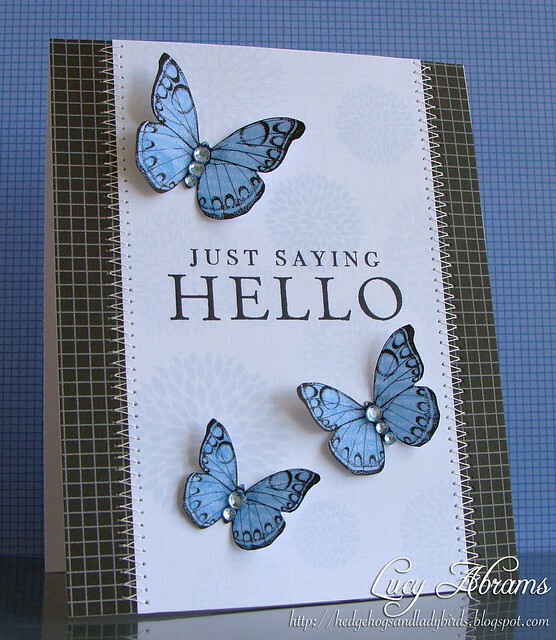 Today I have a card which uses the new The Patterns - Blossoms digikit, along with my favourite ever digikit - Flutterbies and a sentiment from the Messages stamp set. OK, so it's no secret that I am a HUGE Hero Arts fan, so when I heard about a new challenge blog called A Blog Named Hero, I was instantly intrigued. Hello. Here's a card made using the new High Profile digikit from Hero Arts. Some simple stamp layering, and minimal embellishments on this one... LOTS of fun digikits used here. :) I love the background paper - it's from the Respondez Vous digikit. Final thing for today - a few people are commenting and asking for tutorials - just look at my pages at the top of my blog under the picture - I have FAQs and tutorials there, and I've recently done a whole week of digi tutorials. the Day 1 post is HERE. Hope this helps. Today is digikit release day, and Hero Arts have 3 new kits: The Patterns - Blossoms, The Patterns - Script and High Profile. Today's ard features The Patterns - Blossoms which I used to create the background. I printed the Earth paper straight onto kraft. It looks so pretty. 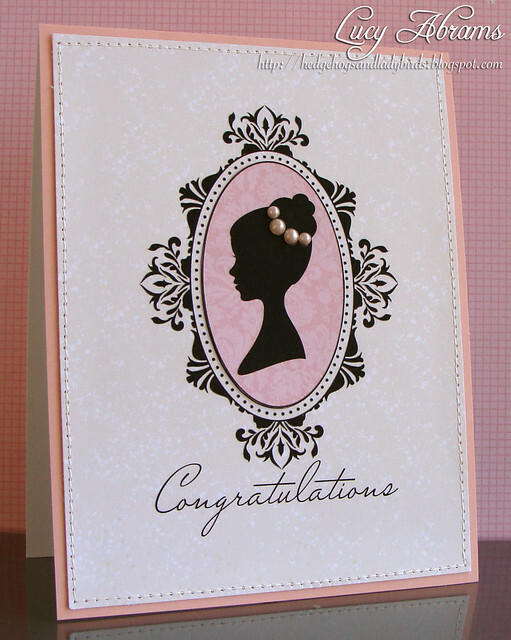 :) The main stamp is from the Just Because stamp set, stamped on some yummy MME paper. 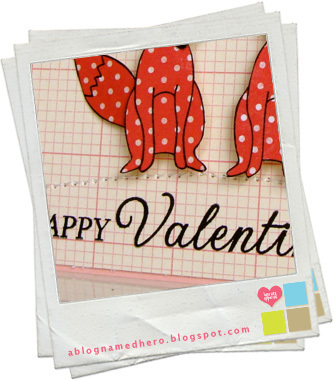 A very CAS card - a bit of paper piecing, Stickles and stitching and it was done. Oh, and the sentiment is from THIS fun digikit. If you've not yet checked out Liz's amazing designs over at Pink Petticoat, I highly recommend you do. 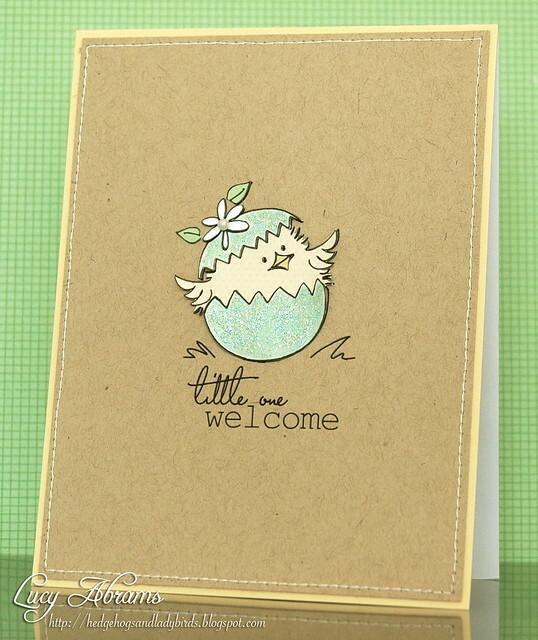 Her sweet stamps and papers are all adorable and really good prices too. And Liz is lovely too. AND it's a UK company which I love (obviously I adore all the amazing US crafting companies, but it's so good to support more local businesses too). Back tomorrow - it's Hero Arts digikit release day. Yay! Today I have 2 cards to share, both made using coloured papers from Hero Arts The Patterns - Brocade digikit, and a sentiment from their Good Friends stamp set. First up, these fun butterflies. 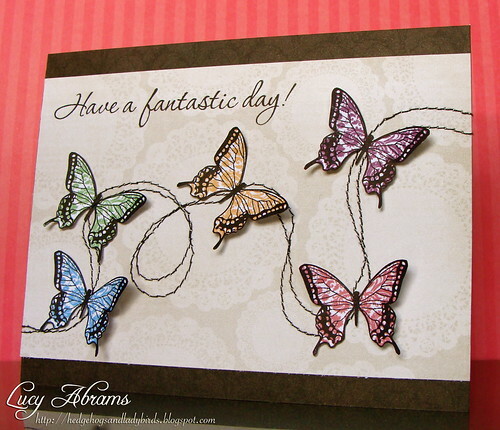 I printed the papers, then stamped the sweet butterfly from Butterflies and Wildflowers over the top. 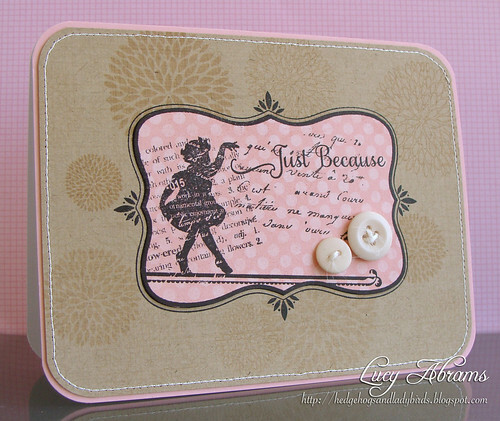 The lovely lacy paper is from My Mind's Eye's Howdy Doody 6 x 6 pad. 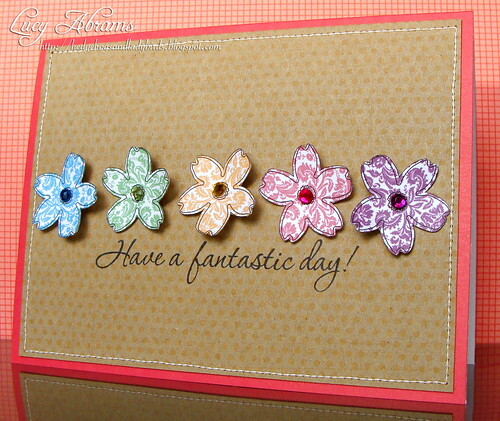 This card features flowers from the Jungle Flowers Digikit and sweet patterned kraft paper from MME's Kraft Fun Day pad. Simple but happy cards. :) And as they featured rainbows, I am entering them in the Paper Crafts rainbow challenge for March. Have a great weekend. the weather here is FAB at the moment, so we're going to be in the garden. Yay!